We rent van for your tour from 9 seat to 14 seat. We have also driver who can bring to your favorite place. We organize also trips. We also have van for your transport. 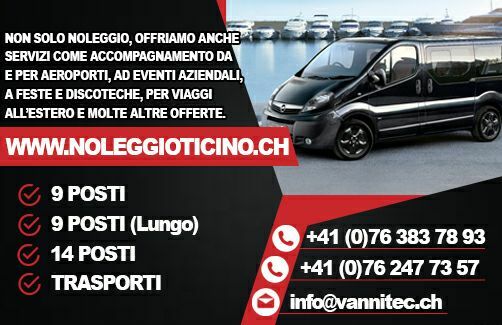 We work in Tessin canton.